This post is in fact an advertisement for my personal project "NextBus for SG" at https://bus.alerts.sg/, which is a location-based service showing Estimated Time of Arrival for buses nearby, and providing alerts when approaching destination. No installation is required. 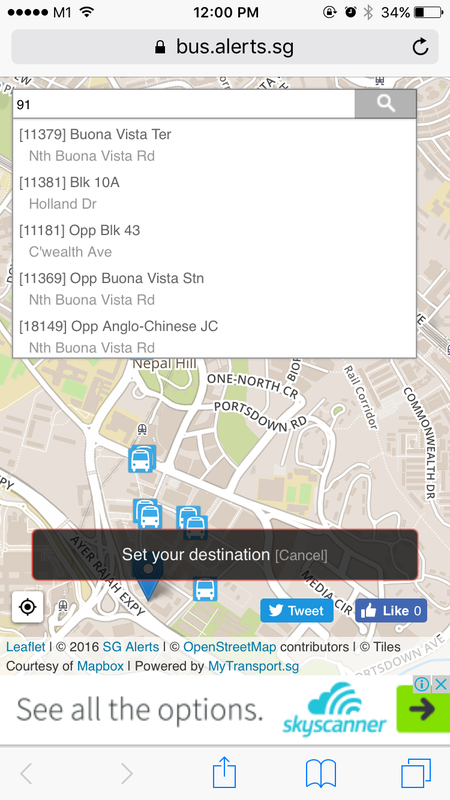 When you first open the NextBus for SG website, it shows a map of Singapore with your location at the center and all the bus stops withing certain distance around you. 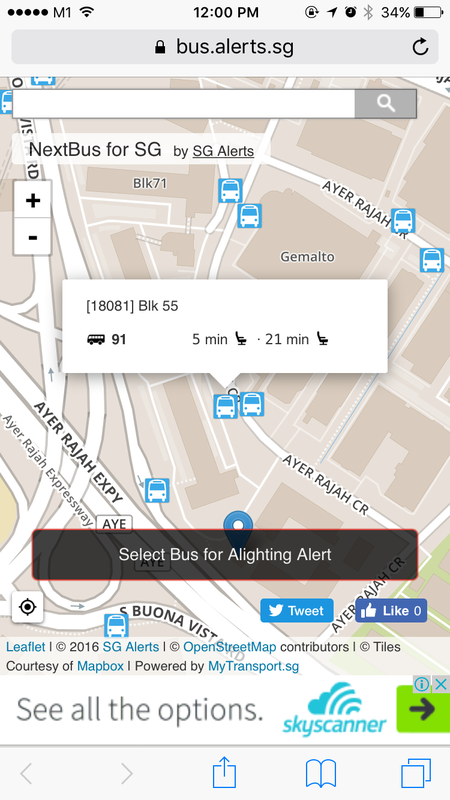 Once you tap on the bus stop icon, a popup will be shown with all the ETA for buses at that bus stop, and the seat availability on those buses. If you are going to an area that you are not familiar with by bus, I bet you would be happy if someone can tell you when to alight. NextBus for SG is exactly what you need. 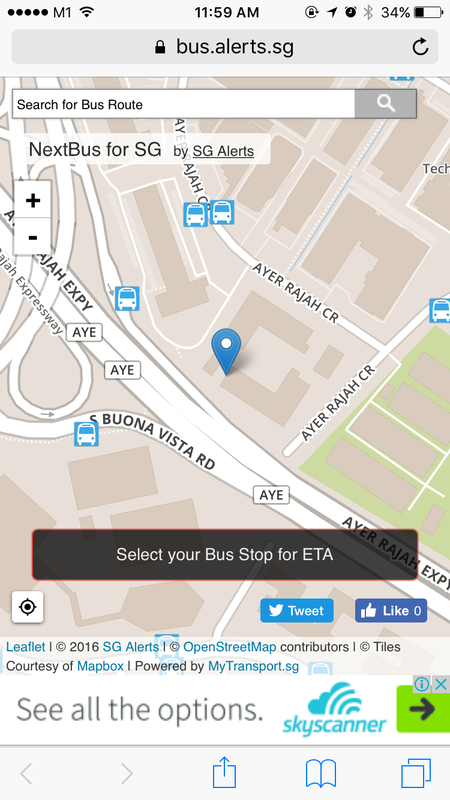 In the ETA popup, tap on the bus route you'll be boarding. 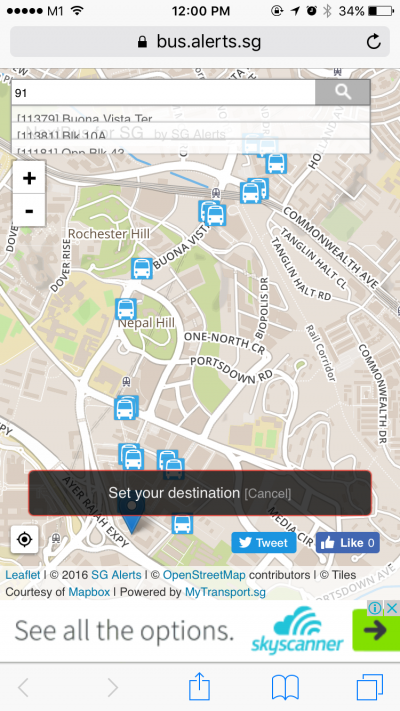 The map will then show all the bus stops along this route. You may also use the Search box to search for the bus route directly. 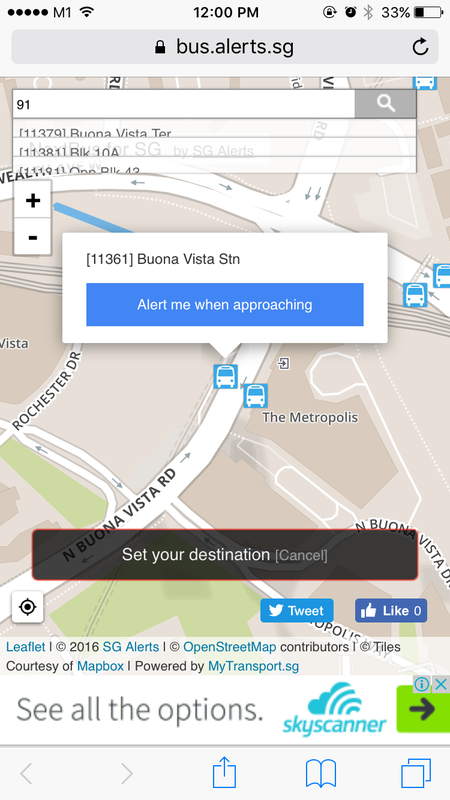 Tap on the bus stop, and you can set your destination for Approaching Alert. 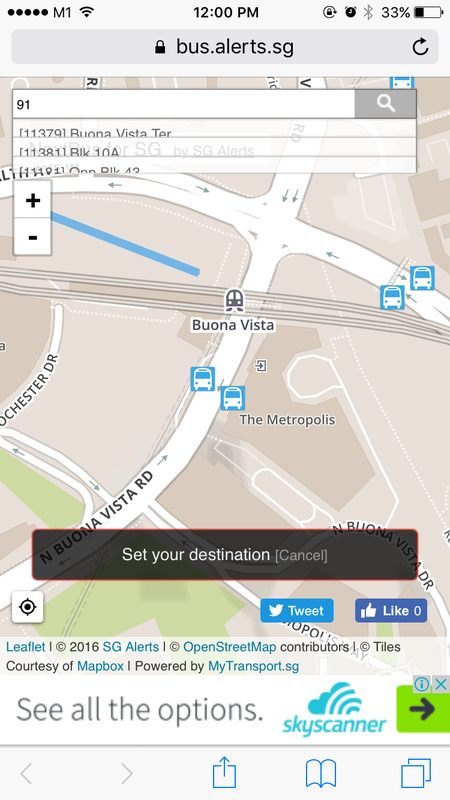 This is a location-based service and requires modern devices and browsers in order to function properly. No information from you is recorded. No location information is stored on the server. To use the approaching alert function, the browser needs to be open and keep the website in view. 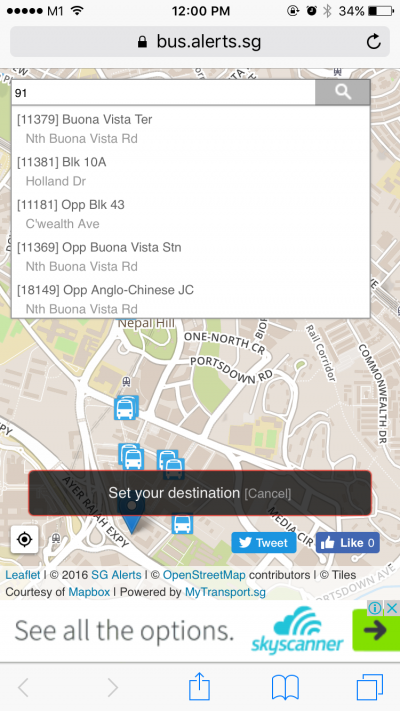 All bus stop and bus information are taken from MyTransport.sg, geolocation information are provided by OpenStreetMap and map tiles are generated by Mapbox.